Jason Koon was one of the bright shining stars of last years Triton Poker Super High Roller Series tour, with the biggest win of his career happening in Triton Montenegro when he took down $3,579,836 for winning the Short Deck Ante-Only $1million HKD tournament in Montenegro. Several other massive cashes at the Triton Jeju stop in South Korea later in the year settled Koon as the face of the Asian-based highstakes tournament series – founded by Richard Yong and Paul Phua. 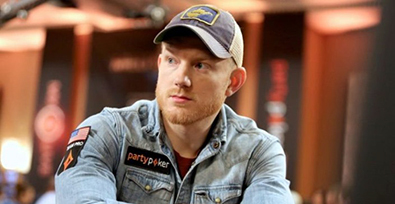 Now, Jason Koon as the new pro and face of the Triton series is to announce the biggest and most expensive event in the history of poker. How big the 2019 Triton super buy-in will be? It's still not told, but Koon promised it will be way bigger than the current record-holder for a tournament, the €1million buy-in Big One for One Drop in Monte Carlo won by Elton Tsang back in 2016 for €11,111,111 ($12,248,912). Tsang’s trophy and prize came from an invitation-only event, so until Triton spill the beans we are not really sure which currency or tournament holds the current record by Triton’s standards, but a $2million buy-in isn’t out of the question. Well, of course the buy-in can be much higher... like $5,000,000. But who would play that? Koon, probably Daniel "Jungleman1" Cates, Tom "Durrrr" Dwan, maybe Phil Ivey and? Triton have announced the dates of their first stop of the year – March 2nd to 9th in the South Korean resort of Jeju - to celebrate their 10th festival, we don’t yet know who will be playing or where the biggest buy-in will be.